Wrap your body in nourishing elegance with one of our body wraps, and then, follow the body wrap with a transformative, relaxing massage. At A Touch of Las Vegas Spa, we offer a variety of full body wraps to our clients as well as many other spa services. Treat yourself to one of the below treatments, or have some extra fun with a couples session. View our pricing. This remineralizing spa treatment combines the power of marine therapy with the benefits of aromatherapy to make your skin feel silky smooth. Then, the Swedish massage gets into your aching muscles to reinvigorate, re-energize, and calm your body. If you are suffering from stress, fatigue, or low energy, sea salts can help to bring balance back to your system, and this solution addresses your physical, emotional, and mental well-being. Often, with this treatment, we start with an exfoliating product to be sure that your skin accepts the treatment. To rebalance sluggish cells, we apply essential oils infused with sea water. That allows you to get all the trace elements from the sea, but out here in the desert. Then, to lock in the moisture, we wrap your body in hot towels. The body wrap takes about 50 minutes, and to continue the treatment, we follow the body wrap with a 50-minute massage. The entire treatment takes about two hours. If you want to reduce stress, address fatigue, invigorate your system, and get relief from a variety of skin and body issues, this treatment is the transformative bliss that you need. Our sea foam body wrap followed by a Swedish massage is a two-hour session designed for people who want to relax their tight muscles or detox their tissues. With these body wraps, we use marine mud. That soothes sore tissues, draws out toxins from deep within your body, and relaxes tight muscles, joints, and tendons. We start by applying the sea foam and wrapping you in fresh linens. This detoxifies, remineralizes, and oxygenates your body. Once you finish the 50-minute full body wrap, you get to awaken from relaxation to a refreshing shower, followed by an application of rich body cream. Then, to ensure the inside of your body is just as beautifully transformed as the outside of your body, we provide a 50-minute Swedish massage. You will love the feeling of this transformation treatment with benefits that really last. Our sea holistic body wrap treatment with massage helps to unwind tension and restore balance to your body inside and out. We gently polish your skin with marine oil and salt, giving you the remineralizing benefits of the sea and the exfoliation you need for soft silky skin. Then, we take steamed, fragrant linens which have been infused with marine salt crystals and lavender buds, and we wrap your body. This delivers warmth to your skin, and you can inhale the hypnotic perfumes during your massage. As we move into the massage portion of this spa treatment, you get to enjoy a combination of pressure point stimulation along with stretching to unwind tension and restore balance. This is a truly Zen experience. If you want a full body wrap, contact us today. 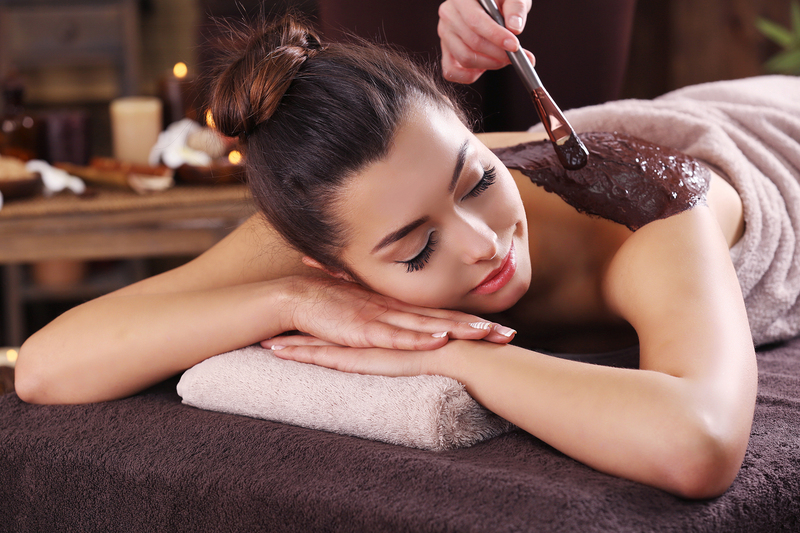 At a Touch of Las Vegas Spa, we offer body wraps, scrubs, massages, and more. You deserve it.